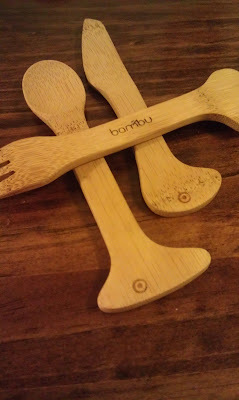 I received a complimentary product from bambu for the purpose of this review. I was excited to get the Bamdino Knife, Fork, and Spoon set for my children to use. This set is made from Certified organic bamboo. It is a great alternative to the plastic utensils we are used to. My son and daughter both can use this set. Bambu makes handcrafted and sustainable products for the home. They are known for working with local woodworkers, weavers, and stitchers. All the products have a lovely and simple modern design. I am always looking for companies like bambu. I would be happy to have their products in my kitchen. If you would like to check out their shop, go here. You can follow bambu on Facebook and Twitter. Do you buy from brands that are eco-friendly?